The road to Raqqa, capital of the phony ISIS/ISIL/Daesh "Caliphate", will continue to be a riddle wrapped inside an enigma at least until the US Presidential elections. Let's examine why. The loose combo known as Syrian Democratic Forces (SDF), led by the Kurdish YPG alongside its women's brigade, the YPJ, are trying to advance against Daesh north and now also west of Raqqa. The key target is Tabqa, west of Raqqa. Tabqa is crucial because it links Raqqa with Daesh positions near Aleppo — where an embryonic Mother of All Battles is gearing up. Conquering Taqba itself will be no mean feat as it implies the SDF forces crossing the Euphrates River, which happens to be a red line imposed by Turkey's Sultan Erdogan. Embedded with the SDF advance is a massive P.R. operation deployed by Washington, involving a hilarious controversy on American boots on the ground. President Obama has always repeated non-stop there would not be US boots on the ground in Syria. The State Department parroted the White House line. But boots — as many as 250 — are indeed on the ground, even as they may disguise themselves with YPG insignia. The Pentagon maintains they are only acting in an "advise-and-assist" role — as in trademark Obama "leading from behind" format. The boots are in fact Special Forces specialized in UW (unconventional warfare). Yet the theater of war — as established by Daesh — is quite conventional. 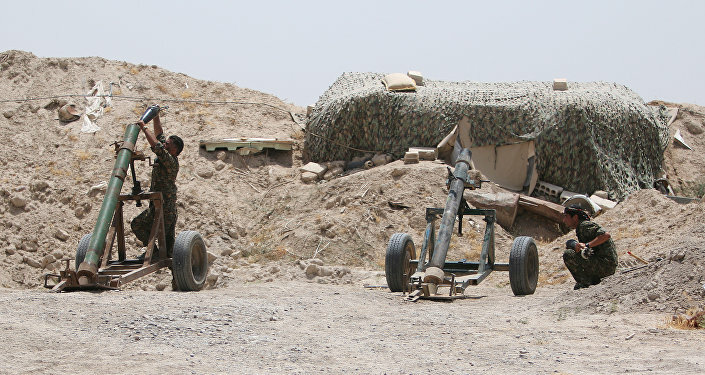 Daesh is constituted as a small army, with heavy armor and considerable artillery, against which UW is meaningless. The lame duck Obama administration — whose Syria "policy" hardly deviates from the "Assad must go" mantra — is trying to convey the impression for US public opinion that it is actively fighting Daesh. Yet this is a fiction. With no considerable "coalition" air power (apart from some bombing of Daesh targets south of Ain Issa) and no sizeable troops, no "leading from behind" will yield a US victory in Raqqa. It's enlightening that the offensive on Raqqa got the go-ahead only after CENTCOM Commander Gen. Joseph Votel traveled to Kobani, in Syria, and Ankara. Yet CENTCOM only gave the green light to a partial operation — vetoing the YPG plan to go after the key border town of Jarablus, one of Daesh's only remaining revolving doors to Turkey. That's because the Pentagon refuses to confront a NATO ally's red line. This is not even about taking over Raqqa; the SDF does not have the manpower and the resources. As SDF commander Abu Fayyad put it, this is mostly about liberating the region north of Raqqa. Syrian Kurds though simply won't resign themselves to not advance on Jarablus; their strategic priority for months has been to try to open a corridor between their cantons in Kobani and Afrin. While commanders insist Washington would not interfere were that to happen — and that's highly debatable — they also point out that the lame duck Obama administration wants a "victory" in Raqqa (as well as Mosul in Iraq) before the November presidential election. So this is what it's all about; a "gift" from the foreign policy-handicapped Obama administration to Hillary Clinton, assuming she survives the subterranean email server scandal. As for the Syrian Kurds, even if they were able to conquer Raqqa with "leading from behind" assistance — again highly debatable, as Daesh will fight to the death with all its firepower — they would not be able to clear and hold it. Raqqa is a Sunni Arab city. The SDF could hardly transfer enough resources to Raqqa without compromising its defense of Rojava. Once again, "on the road to Raqqa" is being sold in the US essentially as a P.R. stunt, as in "we're fighting to win". Perversely, the P.R. stunt also carries the embedded element of a possible trap to Damascus. The Syrian Arab Army (SAA) is very much focused on trying to secure Palmyra for good — as well as multiple supply lines, oil and gas fields, small regional airbases to be used by Russian helicopters, and trying to close multiple remaining pockets of surrounded "moderate" rebels and/or jihadis. That's a lot of work. There's no way the SAA will overextend itself and make a play for Raqqa. The bottom line is that for Damascus — as well as for Moscow — Raqqa is a non-issue, for now. A much more worrying scenario is Aleppo, where Sultan Erdogan's mercenaries, weaponized and paid-for, are gearing up for the Mother of All Battles. Assuming an — unlikely — scenario of Syrian Kurds managing somehow to conquer Raqqa, it's not hard to forecast the follow-up, whoever wins in November. Washington will make Raqqa its own satrapy and invest — once again — in Divide and Rule; creating a joint Kurd/Sunni Arab vassal state within Syria, along the Euphrates. So those "advise-and-assist" boots on the ground are in fact the vanguard for a complex game plan — through which Washington, if successful, would be able to cut off that fiction much entertained by the petrodollar gang — the Shi'ite crescent — as well as weaken a fragmented Syria for the foreseeable future. 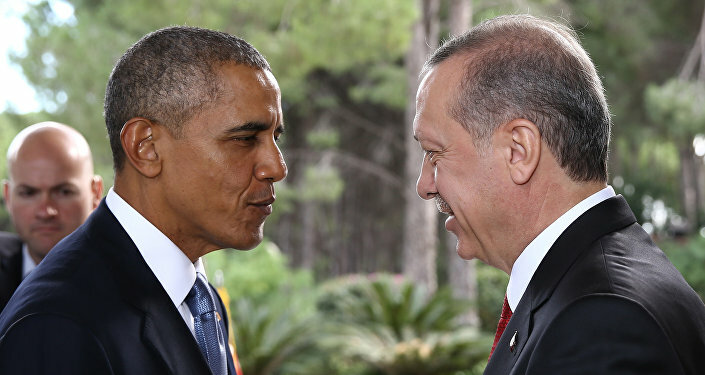 "NATO ally" Turkey though will pose a tremendous problem to the US game plan. There's no way Ankara under Sultan Erdogan will abolish its Syrian Kurd red lines. Quite the contrary; Sultan Erdogan is doubling down. Erdogan is avidly betting on Jabhat al-Nusra — being bribed by Turkish operators to extricate itself from al-Qaeda — to wreak further havoc in Syria in the Aleppo front. And one should not — ever — forget the gas; after all Syria is an energy war. Syria's gas reserves happen to lie mostly between Raqqa and Deir Ez-Zoor. It's not hard to fathom many a US Big Oil player salivating as these reserves may one day be under proxy US control. Which brings us to the key question; how will Moscow crack the Raqqa riddle? Here's another riddle — inside an enigma.